Last week, we hosted Collegiate Challenge. This is a week when groups of students from colleges and universities across the country partner with different Habitat affiliates to spend a week with them building homes and communities. At Habitat MontDelco we are fortunate enough to work with students from Assumption College in Worcester, Massachusetts, and have done so for the past 15 years! 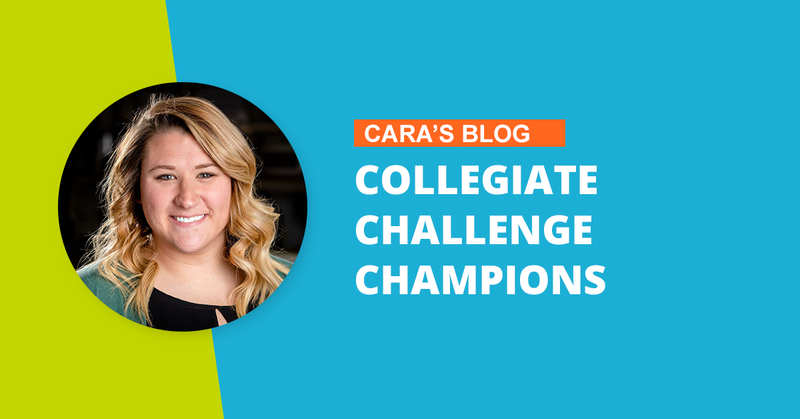 These students are truly Champions for Habitat for Humanity and Collegiate Challenge. For me, hosting our Collegiate Challenge groups is one of my favorite parts of this job because that’s how I began my Habitat journey when I was in college. I was blessed to be a part of 5 Collegiate Challenge trips during my time as a student, employee, and an alumnus of my college, so I know all of the hard work and dedication that goes into a trip like this. Throughout our 15 year partnership with Assumption College, we have had some truly outstanding students spend their time with us giving back to the community. This year, we had a dedicated group of 11 students that worked hard each day on the build site. Although the weather was frigid, that did not bother this group as they did demolition work in Norristown and framing at the new construction site in Bridgeport. The students also had the opportunity to build alongside the future homeowners of the town homes in Bridgeport. This was a wonderful chance for them to build a relationship with them and get a true understanding of what this home will mean for them and their children. I can say with confidence that this group of students is going to change the world someday. One night during their week-long stay, we hosted an appreciation dinner for them. I, along with other members of the Habitat MontDelco team, as well as board members had the opportunity to converse with the students. We asked them about their majors, life-long goals, and why they chose to spend their spring break serving with Habitat. With majors ranging from Chemistry to Theology, and Human Services to Engineering, this well rounded group of students from Assumption College gave their entire hearts to this week of service, and we could not be more grateful. As the Volunteer and Community Relations Manager, and former Collegiate Challenge member, I am so appreciative for this group coming from out of state to volunteer with us and give back to our community! I always say that it takes a truly special kind of person to give up their Spring Break to help others in need, and this group is no exception! They are such a special team of people, and I hope to see some familiar faces back next year for Collegiate Challenge week!